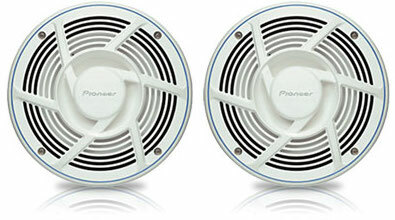 Pioneer Electronics is a global technology leader in consumer audio and video products. They make the kind of car electronics products that make driving more enjoyable by offering high quality audio and video, seamless connectivity and ease of use. Precision Audio in Bainbridge and Thomasville, Georgia offers the full line of Pioneer car audio products, including their award-winning in-dash multimedia and navigation-equipped radios. With a commitment to their corporate message of “Sound, Vision and Soul”, they are passionate about creating an unbeatable entertainment experience. Sound not only indicates Pioneer’s very origin – the audio field – but also refers to their aim to resonate with customers. Vision refers to the video business in which Pioneer maintains a leadership position with Blu-ray Disc technology and next generation plasma displays at the core. It also suggests the company’s clear commitment to the future and innovation. Soul emphasizes Pioneer’s determination to raise entertainment to the level of pure emotion. Pioneer truly believes in the power of sound and vision to ‘move the heart and touch the soul. Pioneer manufactures a diverse range of in-dash radios, from basic CD and DVD players to the technology centric AppRadio® and NEX multimedia units. There are more than 50 receivers from which to choose, which means there’s a Pioneer in-dash radio for you. One of Pioneer’s latest technology platforms is their Networked Entertainment Experience (NEX) in-dash DVD and navigation-enabled radios. They connect with your multimedia devices such as USB, SD cards, Bluetooth devices, iPhone® and Android™-based phones. There are over 30 apps that run on NEX in-dash units so this is much more than a car radio; it’s an in-dash multimedia center. The addition of Apple CarPlay functionality means you can connect an iPhone and access maps, text messages, phone calls and more entirely through Siri voice commands. NEX is truly an incredible and diverse platform. 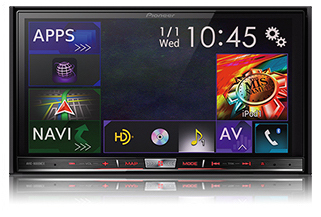 Pioneer also manufactures marine audio remote controls (that connect to their in-dash receivers), protective water-resistant covers for receivers and marine-grade coaxial speakers that belt out the tunes. These enable Pioneer’s high-value entertainment products to be enjoyed in the marine environment without worry of exposure to moisture and open air. Pioneer also has a full line of high-quality replacement speakers in every size that fit perfectly in nearly every car on the road. The company is the largest speaker manufacturer in the world. Pioneer also builds high-fidelity component separates that use advanced composite materials for incredible sound. For added peace-of-mind, Precision Audio offers an over the counter exchange on Pioneer speakers within the warranty period. Pioneer amplifiers are available in many configurations of mono and multi-channel outputs. Power levels range from 45 watts/channel RMS to an incredibly powerful 2400 watts max power in their GM Digital series amplifiers. Pioneer subwoofers are available in 10 and 12 inch sizes, including a slim mount model for bass in tight spaces. Pioneer continues to develop and manufacture innovative, high-tech entertainment and electronic products, particularly in car audio. Their NEX series of multimedia and navigation radios are incredibly advanced and offer consumers the latest technology and connectivity right in their dashboard. The company employs engineers and researchers at their development labs to invent and pursue the next dimension in audio and in-vehicle electronics technologies. Their factories focused on quality assurance and they work tirelessly to perfect these new technologies for their customers.